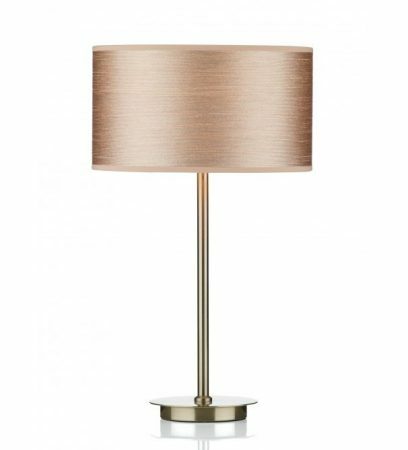 Single light table lamp finished in satin chrome, with a brushed chrome base, slender stem and a lovely cream fabric drum lamp shade. Part of the Tuscan contemporary lighting range. A great choice for any room with a modern or contemporary feel. Class 2 double insulated, no earth required. Fitted with an inline on / off rocker switch. Please note: The height shown is for the table lamp base without the shade. Shade height 170mm – diameter 300mm.